All are welcome to contribute in their own unique way. 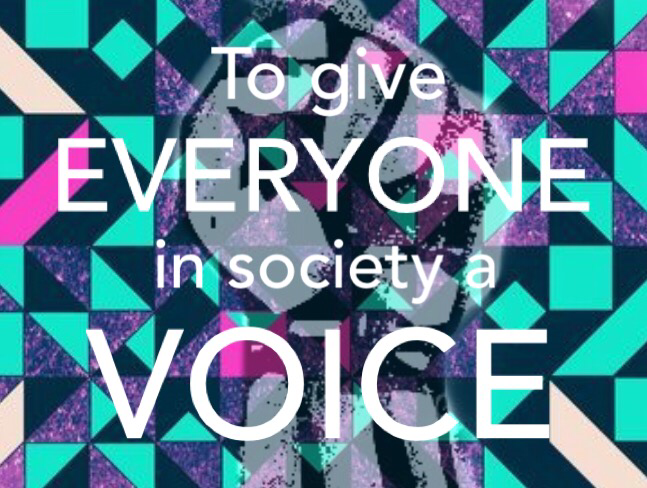 • To give a voice to everyone in society. • To give people, that have possibly never written before, an opportunity to have their voice heard. • To offer people an alternative to the biased mainstream media – the propaganda machines of the ruling ‘elite’. • To fight the intentional and unnecessary injustice, inequality and suffering of the many, caused by the few. • To promote what is ultimately right, fair and just, through open minded thinking and by truly democratic means. • To promote debate and discussion on things outside the narratives set by our nefarious, callous and draconian Tory government and mainstream media. • To grow a grassroots movement in solidarity. As well as having numerous authors on a wide variety of topics, this blog also welcomes different styles of writing, with differing lengths of posts; from essay type articles with lots of analysis, detail, references and figues, to opinion pieces, to personal experiences – it’s entirely up to you. If you would prefer to stay anonymous, that is absolutely fine, no problem. We will publish your post stating that the author wishes to remain anonymous. This is fundamentally a place for various degrees of left leaning articles, but all views are welcome into the debate, so if you’re not to the left, please still feel free to get in touch. It is your content, you will (unless wishing to remain anonymous) be given full credit. Please sign up to receive emails when new posts are published, we won’t email at any other time and will not sell or pass your details on to any third party. Please share posts to Twitter and Facebook, add your comments to posts, follow on Twitter – PoliticalSift, ‘Like‘ the PoliticalSift Facebook page, and please get in touch about having your voice heard. I sincerely hope you feel better; I too was a Guinea pig for Maggie’s great social experiment. Following a sixty hour week in slave labour factory’s for six years, (If you don’t want the Job there are plenty more that do) Poor Mental health was not just on the increase, it was a given. The body and mind can only take so much. Anyone who disagreed with the system was Tranquillised beyond thinking and Drugged beyond rationality. Having spent Seven years in a chair, before it occurred to me that there was such a thing as a balanced medication. (An alternative to chemically induced oblivion). We as a family were lucky, we survived Thatchers Britain. Exploitation has gone on far too long, and I for one have had quite enough! Poor Mental Health not only affects ones self, but all those that come into contact with the sufferer. Having worked for Social services ten years, I am now unable to work. My wife and I came across many individuals and services that were, for many reasons, unfit for purpose. We met many extremely dedicated individuals that were willing to help and become involved, only to have there aspirations and hopes squashed by Governmental bureaucratic nonsense, coupled with a lack of funding. This situation produced cynicism and distrust both in patient and carer. The cure is simple, demolish and build from the bottom up; Creating a Sound foundation on which to build, First get rid of I D Smith and his cronies. We need real people, real passion, and a real vision. A Britain free of the Conservative Greed and cynicism which divides communities and exploits the vulnerable. Its not just the Tories either, Get rid of the red tie pretenders, that undermine all that is genuine in the Labour movement. From Councils to Westminster what is needed is a new stiff broom. Well that sums up a lot of what I have lived throughout with Tory ( Nazi ) governments, the worst thing that happened to Britain was Thatcher and her bloody politics, Cameron is following in her footsteps, that women as the queen put it destroyed my country for the ppl destroyed our industrial base social housing ext, Cameron is even worse than her,they have to go. Stevie couldn’t agree more fingers and everything else crossed thanks reading!